This well appointed ground floor apartment with its own entrance has a combined kitchenette (dishwasher, hob & oven), lounge and dining area which can accommodate up to 8 or 10 people with children. The apartment is excellent for both winter and summer holidays; there are four bedrooms – one with ensuite and a main bathroom. 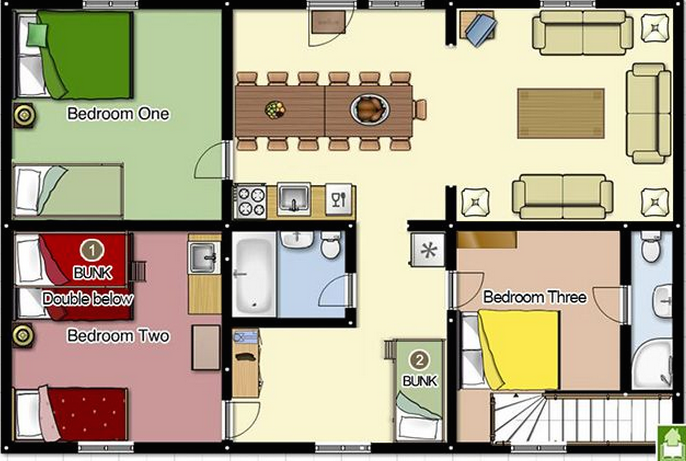 The three/four bedrooms comprise of a total of three double beds, two singles and one set of bunks. 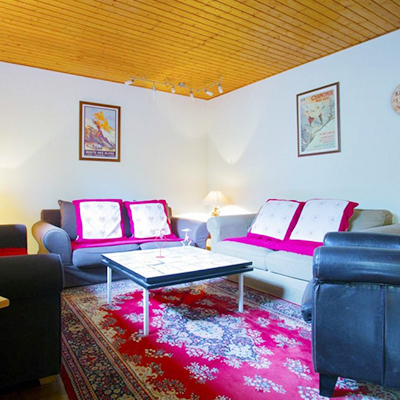 The apartment is perfect for a ski or summer holiday with access to the indoor pool, jacuzzi and sauna to allow you to relax after a hard days skiing or summer activities in Morzine or Avoriaz. 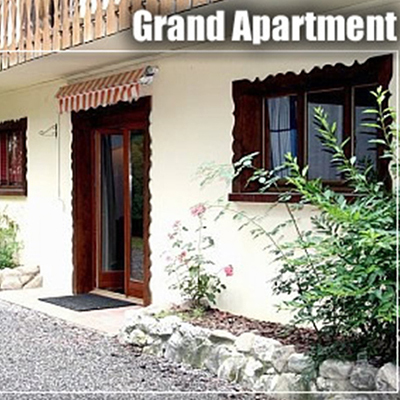 Whether you want an activity holiday with the kids in Morzine or Avoriaz, or you’re looking to relax with some friends this apartment will not disappoint. 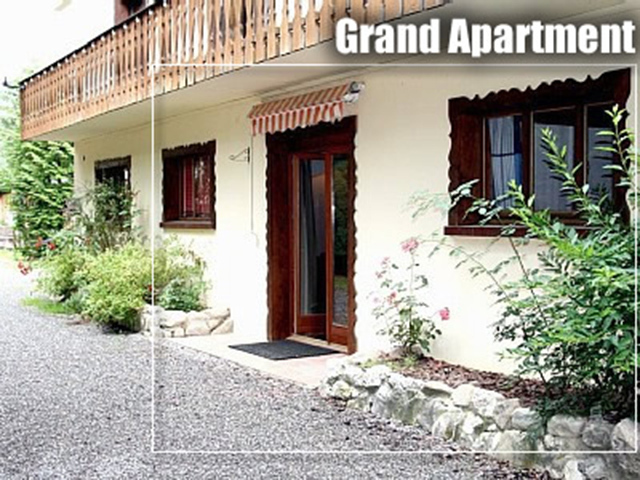 It is possible to rent on its own or with the chalet for larger groups. Please contact us to discuss your individual ski or summer holiday needs. Cet appartement de plein pied est bien aménagé, il dispose d’une kitchenette équipée (lave-vaisselle, cuisinière et four), salon et salle à manger pouvant accueillir jusqu’à 8 ou 10 personnes avec des enfants. Il y a 3/4 chambres (2 avec lit double et un lit simple, 1 avec 2 lits superposés, une avec 1 lit double plus un ensuite salle de douche et un salle de bains principal). L’appartement a un accès complet à la piscine, jacuzzi et sauna. 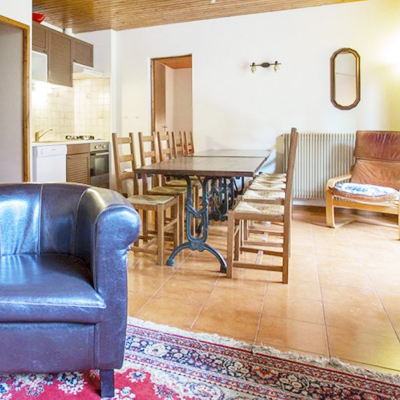 Room 1 (Sleeps 3) – Double & Single. Chambre 1 (3 couchages) – Double & Simple. Chambre 2 (4 places) -Double avec lit superpose & 1 Simple. 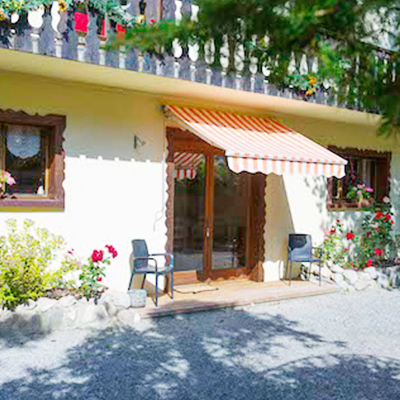 Room 3 (Sleeps 2) – Double. Ensuite. Annex Room (Sleeps 2) – Bunk Bed.